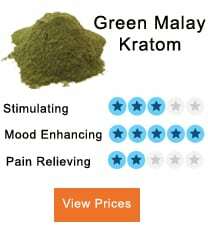 Kratom is an element that has become increasingly popular. Its origins are found in a tree indigenous to Indonesia and other countries in the southeast region. It is a herb, mostly used for medicinal purposes. It has benefits, one of which has surprisingly earned it a notorious reputation in Thailand where it is ban due to being a natural substitute for opium (thereby affecting the economy). Mainly known for its energetic and relaxing effects, the leaf of Kratom produces a spectrum of opioid effects. These effects range from stimulation to sedation depending on the dosage consumed. Its combination with coffee has been gaining popularity lately to amplify effects of stimulation. Coffee is an essential day starter for most people because of its energizing effects. It is a morning ritual that people globally cannot break free. People are reliant on coffee to kick start their day by causing drowsiness and morning sickness to subside. Kratom and Coffee are both stimulants with similar effects. It has led some to replace coffee with Kratom, while others have just devised the idea to combine both for a more energized consumption. When both combined, from people gain a true synergism to benefit. But what are these combination effects precisely? They are a long-lasting boost of energy, relaxing feelings and a peaceful state of mind. These are few of the many effects we’re looking to experience every morning. The synergy between coffee and kratom stimulates the central nervous system. Coffee and kratom are known as psychomotor stimulants because of their trigger functions. They cause excitement and euphoria in people. The mixture of these two stimulants potentiates the motor activity and reduces fatigue. The main component in coffee responsible for this effect is methylxanthine, which is commonly known as caffeine. It is the most utilized stimulant globally. As a result of stimulating cortex and other parts of the brain, caffeine increases mental sharpness and reduces fatigue. This section covers the techniques used to brew coffee and kratom together. People can mix kratom with coffee after making their coffee, or brew them both together. When using kratom with coffee, ensure using a higher amount of sugar and milk than usual to eliminate the bitter taste. If using a powder form of kratom, then brew it with coffee directly. Make sure kratom is grounded well to mix with coffee beans easily. People can also use kratom leaves to make tea first and later mix it with coffee. Boil the leaves with some water for about 15 to 20 minutes to make kratom tea. Avoid overheating kratom, or the water that is to being added to it. Kratom is easily denatured by heating it above a certain temperature. The alkaloid present in kratom leaves, which is one of the stimulating qualities of the leaves, becomes damaged when exposed to high temperatures. Best way to minimize this risk is by boiling water separately. After allowing the water to cool down, in about 2 minutes, add kratom leaves with coffee. Mix about 1 – 2 grams of kratom with coffee as a small dose. If more tolerant, a person can mix about 2 – 4 grams as a medium dose. But he must be careful of the adverse effects of a high dosage. These dosages can be combined with .5 to 1.5 grams of coffee. Those who consume higher doses of coffee can reduce a little amount of kratom and increase the coffee dosage instead. 2. It Known for its stimulating powers; coffee helps fight depression. 3. It is also known for its fat burning properties. 4. It helps people stay focused and improves mental sharpness. cancers, and type II diabetes. 7. It functions as an antioxidant and fights free radicals. 1. 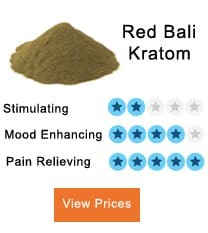 One of the most common benefits of kratom leaves is its pain relieving property. 3. It helps to recover from addiction (if not abused). 6. function of lowering blood pressure. Taking coffee and kratom together may have benefits as aforementioned, but an imbalanced dosage can lead to adverse effects. High doses of kratom can cause sedation and negate the stimulatory effect of coffee beans. Drinking too much of this mixture, or even coffee itself causes anxiety and makes a person jittery. Some undesirable effects also include nervousness, nausea, itching, vomiting, tremors, lethargy, and aggressiveness. Although kratom has not been associated with any severe or disastrous condition, abusing it does result in dangerous side effects. Due to its similarity to opioid, it is often considered potentially addictive. 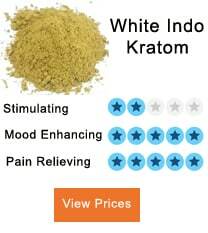 It is recommended to avoid constant use of kratom as this builds up the tolerance for the stimulant. 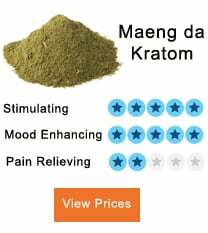 Trying different strains of kratom like Maeng da, green Malay, Indo kratom can help prevent the tolerance build up.